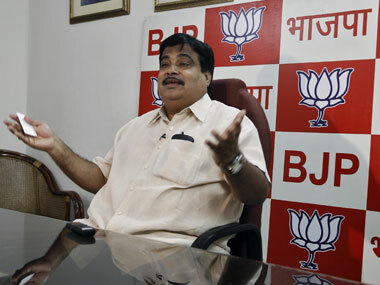 Telling whatever senior leader Digvijaya Singh said was very personal to him and doesn't really demonstrate his reading skills, Congress said that it understood the crux of BJP President Nitin Gadkari's statement on IQ levels of Swami Vivekananda and Dawood Ibrahim. "Yes yes we understood what Gadkari wanted to say otherwise we would be involved into category of low IQ people," said Congress leader and part time minister Manish Tewari when reporters asked him did he really understand what Gadkari said in Bhopal function. He said "It was not really difficult to understand what he said. He just said that IQ level doesn't matter what matters is intention. A similar IQ guy can become a nation builder while other may become terrorist. One becomes Robert Vadra and other becomes DLF's owner KP Singh. It was not really difficult to understand that." 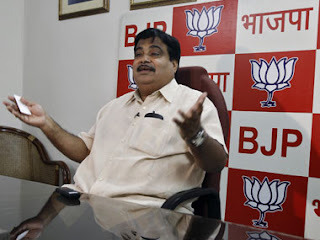 Sources said Congress leaders tried to show that they have some bit more IQ level than journalists and news editors which easily twisted Gadkari's statement. "Yea that's true," said Manish Tewari answering a question from media reporter "We have better IQ than many news reporters." However, when asked whether Digvijaya Singh's statement that Gadkari has same IQ compared with Ajmal Kasab, he said that Kasab's IQ is not yet tested. However, Tewari said "I came to know that Diggyji reads only headline of the news and doesn't like to waste any time and immediately reacts. We would like to tell him to sometime take your time and read full news and then express your emotions." All the articles on this blog (unless explicitly and clearly mentioned) are works of fiction. Readers are advised to read the articles in the right spirit and not confuse the content on this website with real life happenings.